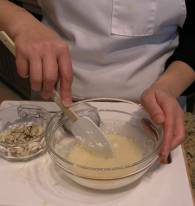 In a small bowl, whisk the yeast into the milk. 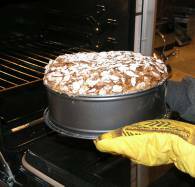 Glazed panettone has a long process and takes almost and entire day to make, but it is a spectacular cake. Tender and moist, it is perfect when served with a sweet sparkling prosecco or Asti spumante wine. 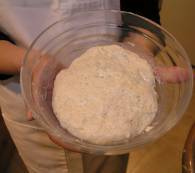 Stir the yeast mixture into the flour. 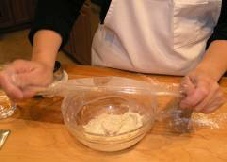 Cover the bowl with plastic wrap, and set aside to rise for about 45 minutes. It should triple in volume. 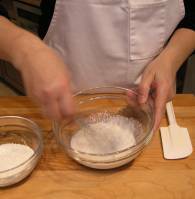 Dust the plastic wrap lightly with the flour. This will prevent the sponge from sticking to it, in case the sponge touches the wrap cover. 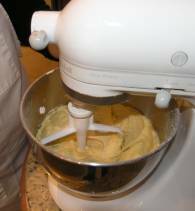 When the sponge is ready, in a mixer with a paddle, place butter, salt, and sugar. Beat lightly. Add vanilla and beat to combine. Add one egg and 1/3 of the flour. Beat to incorporate. 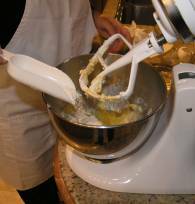 Continue adding the eggs one at the time, alternating with the flour. 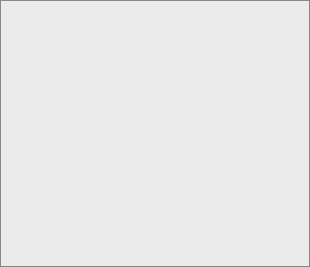 Beat this compound until smooth. At this moment, the sponge will be “spongy,” soft and fluffy. 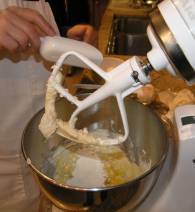 Add the sponge to the mixer and beat to incorporate until smooth. 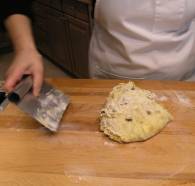 Combine the raisin and candied fruit. 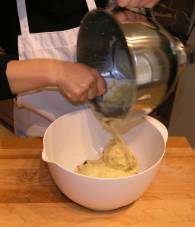 Transfer the dough to a buttered bowl. Cover with plastic wrap and set aside to rise for about 2 hours until it doubles in volume. 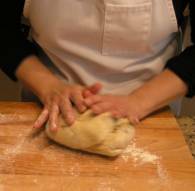 When the dough is ready, push it with your fist to let the air out. 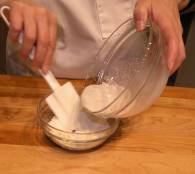 Transfer the dough to a lightly floured work surface . . . .
. . . . and knead it, folding it on itself several times. 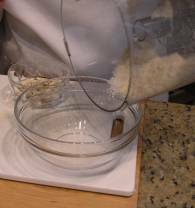 Transfer the dough to a 9 inch buttered spring-form pan. 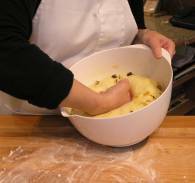 Press the dough lightly toward the edges, to cover the bottom evenly. 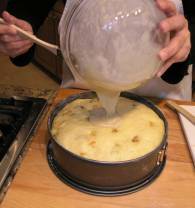 Cover the pan with plastic wrap and set it aside to rise for about 2 hours. 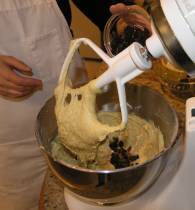 The dough will rise to the edge of the pan. 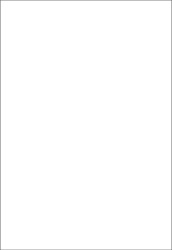 Preheat oven to 375 F (190 C). 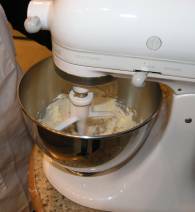 Place the almond and sugar in a food processor and run the blade until very finely ground. Transfer to a bowl. 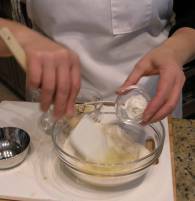 Add corn starch and egg whites. 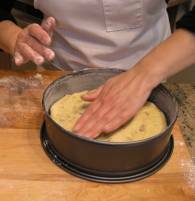 When the dough is ready, pour the glaze on top. 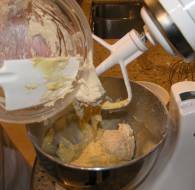 Spread it evenly on the cake. 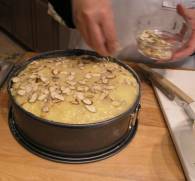 To avoid deflating the cake, don’t press on the surface. 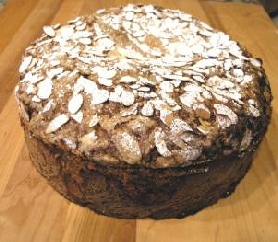 Spread the sliced almonds on the top. 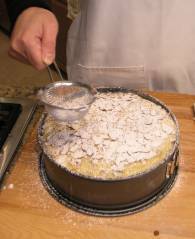 Top evenly with powdered sugar. Bake for about 50 minutes or until the surface is golden and swollen. 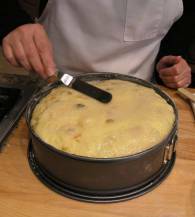 Open the side of the pan, running a knife along the edges if necessary. Transfer to a rack to cool. 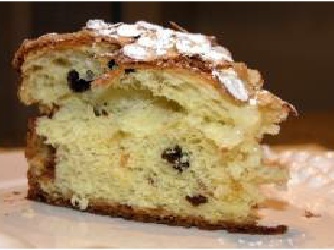 The panettone can be stored wrapped tightly in plastic foil.